God Isn’t Good After All? The story of Adam and Eve’s sin, what we call the Fall, helps us see that sin occurs when we doubt God’s goodness. The record of creation found in Genesis 1 shows clearly that God had created a “good” world for people that provided everything humanity could want and need. However, rather than trust that God will always do what is best for them, Adam and Eve chose to doubt God and trust… a TREE! It’s actually rather comical, except that we also choose to doubt God’s goodness and believe that we know better than God what is best. We would never say it out loud, but we’re still tempted to wonder, “God isn’t good after all?” This is what we’re actually saying every time we choose our own way over God’s way. But the story also reveals that God is not going to let sin and evil have the final word. In pronouncing judgment on the serpent, God promised to send “a seed” (Gen. 3:15) that would “strike” the head of the serpent. This promise assures us that God had a plan to restore His good creation through “a seed” that would come from the woman. God is always a God of hope, even in the midst of catastrophe and apparent defeat. And, God’s good purposes for creation and humanity will not be thwarted by human rebellion. Genesis 3:15 also states that the serpent would “strike” the heel of the seed. We now know this “seed” is a reference to Jesus, the promised Messiah of the entire Old Testament. It would be at the cross that the serpent would “strike” Jesus’ heel, but it would also be at the cross that Jesus would strike the head of the serpent and win the victory over evil. The cross is, therefore, the central event in dealing with sin and evil. There can be no resurrection without the crucifixion, and there would be no need for Jesus to die had it not been for humanity’s rebellion. The story of the Fall, then, is essential to explain the story of Jesus’ death, burial, and resurrection that we celebrate at Easter. It explains why Jesus had to die. It was through His death that Jesus (the “seed”) eventually crushed the serpent’s head and defeated sin. 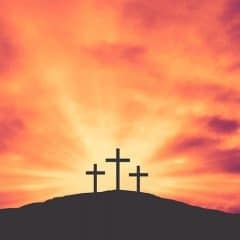 And, after sin and evil was defeated at the cross, the resurrection announced the arrival of forgiveness and new life. Easter declares that evil has been defeated and new life is here! 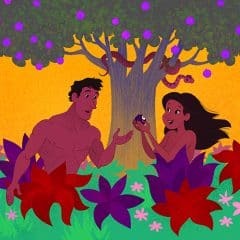 You can find a number of free, printable activities related to The Fall of Adam and Eve on the site. Encouraging kids to study this story during the Easter season can help them place the crucifixion and resurrection in its larger biblical context. Other activities and resources related to Easter can also be found on the site. 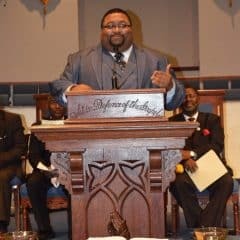 This has been the week of Sunday, March 3: The Fall for The Sunday School Zone Buildup To Easter. To see all weeks, go here.